We Don’t Need No Stinking Badges… Or Do We? Micro-credentials offer institutions a new and exciting way to certify student learning, creating innovative pathways into the university for new students and providing valuable outcomes that employers are looking for. Never have there been so many options available to acquire knowledge at various life stages, nor have there been so many ways to acknowledge the various levels of our learning experiences. Despite this, our existing industrialized education continues to provide a traditional approach to credentialing. Students ride a conveyer belt in which they take a series of classes, obtain grades, and when a number of courses or units are accumulated, they get a stamp of endorsement called a certificate or diploma. The question is whether a certificate or diploma is relevant to today’s workforce. Do they capture the number of skills acquired that can be showcased to potential employers and educational institutions? The value of students receiving certificates or diplomas is not detailed enough as we enter the micro-credential era. A series of micro-credentials acknowledges an individual’s completion of work, whether it is a noncredit course, a seminar, or other professional learning and skill building. Our educational system is entering a new era in which industry needs competency verification in key areas beyond what a transcript or diploma is able to convey. We are living in a time when people need to possess a list of competencies that can be added to over time with a verifiable rubric to measure skill mastery, recognized and endorsed by industry and connected to our emerging online social media outlets like LinkedIn. “Badges without taxonomies, without some shared understanding, without rubrics, are meaningless,” notes Matthew Pittinsky, an assistant research professor in the school of social and family dynamics at Arizona State University and founder of Parchment, a credentials-management company. The notion of a student obtaining one large qualification rather than offer an array of micro-credentials (badges) is a thing of the past. From an employer’s point of view, the value of hiring a person with numerous mini-qualifications and a diploma provides a higher confidence in their investment as opposed to the risk involved in hiring a “blue chip” student from a brand name university. 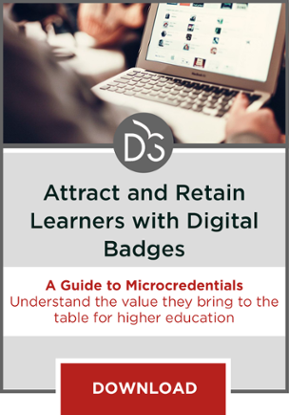 At the present time, digital badging isn’t as widespread or as organized nationally as it needs to be to allow most postsecondary institutions to accept it as a formal part of admittance assessments and industry hiring process. This needs to be expanded quickly, so that digital badges can be listed as academic accomplishments under existing fields in the college application. It is my opinion that smaller postsecondary institutions will be able to implement badges as formal criteria for assessment, with larger colleges and universities soon to be following behind them. UCSD Extension K-16 Programs have begun to implement a micro-credentialing program targeting students enrolled in our pre-collegiate programs. Our strategy seeks to refine the operational process involved in offering badges but also elevate these credentials from an informal acknowledgement to a professionally recognized measure of skills. Documented on a transcript: Each micro-credential will be documented on a UC San Diego Extension transcript to ensure the documentation is formally recorded. One skill at a time: Each micro-credential will focus on one competency and skill tied to a single rubric. Evidence to demonstrate skills: Students must demonstrate their competence by demonstrating and providing multiple examples of their work. Assessment and review: Each micro-credential will be reviewed, evaluated and endorsed by an advisory panel to ensure it is a reliable articulation of a specific skill. Connected to social media platforms: Each micro-credential will enable students to post their credentials to social media platforms to showcase their competencies as part of their online portfolio. This effort recognizes the evolution of online credentialing is evolving rapidly, and this frame seeks to be flexible to adapt with emerging changes in technology. However, the core of our framework will continue to focus on adhering to a rigorous oversight process to ensure the value and integrity of each micro-credential maintains the highest standards our academic, industry and peer stakeholders would expect. By taking this approach, we’re creating new avenues for access into the institution for a much wider range of students, we’re providing greater value to our graduates and we’re strengthening our reputation among local businesses and other major stakeholders. This is a model for a more open, more flexible higher education system that bootcamps are proving is in demand. I sometimes wonder if the “micro-credential” isn’t a step too far. 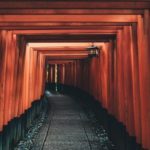 I think it encompasses some good objectives, like standardizing evaluations so employers have a better sense of what all credentials actually mean, but I think it has the potential to be a fad that just takes resources away from those already working on areas like stackable credentials and transfer agreements. 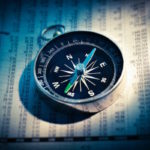 It does sound like a lot of work that could be avoided by just not splitting already pared down credentials into even smaller pieces, thereby requiring whole new frameworks just to ensure their integrity and to make sure employers know what they mean. Maybe, but it’s also the next step in breaking down large, long-term credentials like four-year degrees into more accessible, more affordable pieces and making those pieces useful for students in their career trajectories. 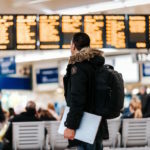 This form of micro-credential might not be the answer, but the ultimate goal is more accessibility and more student success, so it’s worth a shot. I tend to think that for white collar jobs, badging and micro-credentialing is most valuable when added to a bachelor’s degree. I think many employers still want that as a starting point, and then the add-on credentials become valuable.